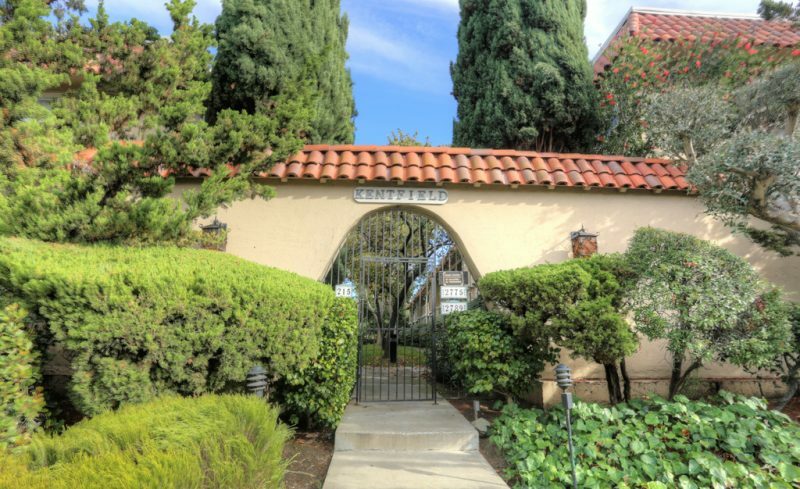 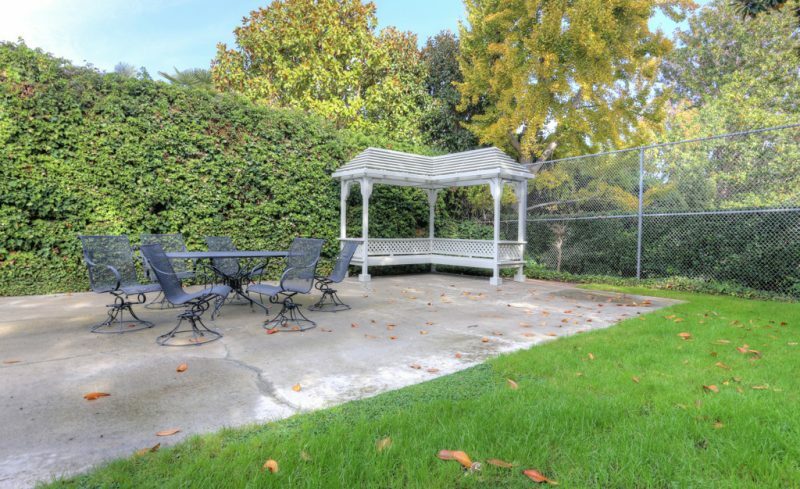 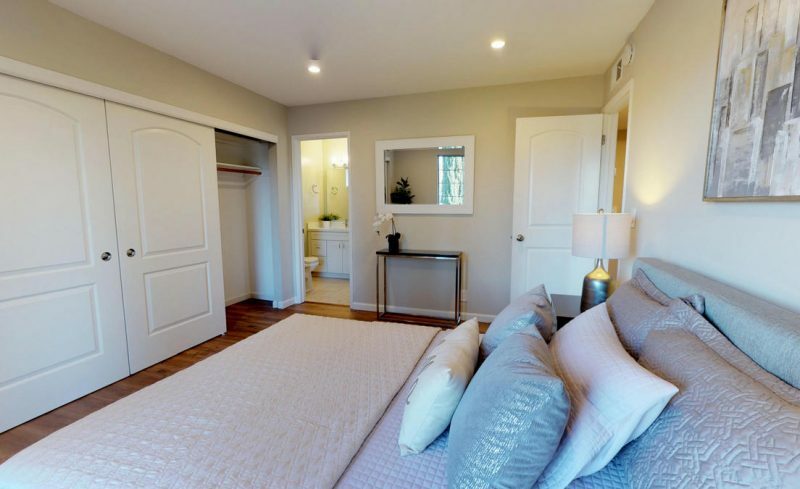 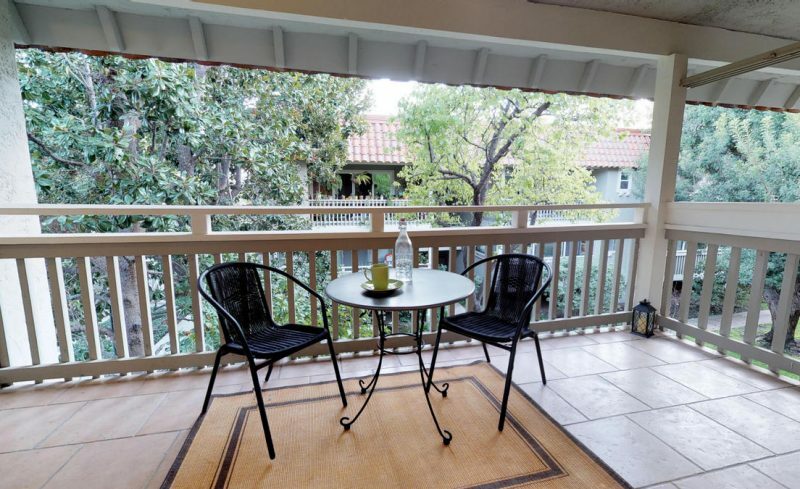 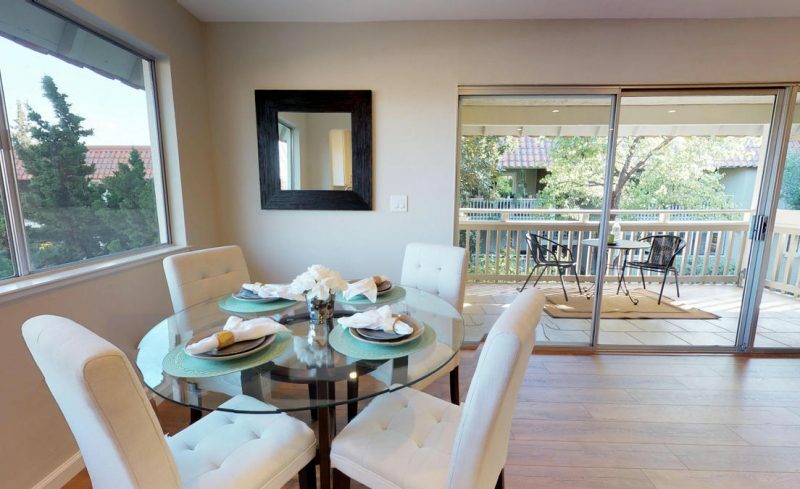 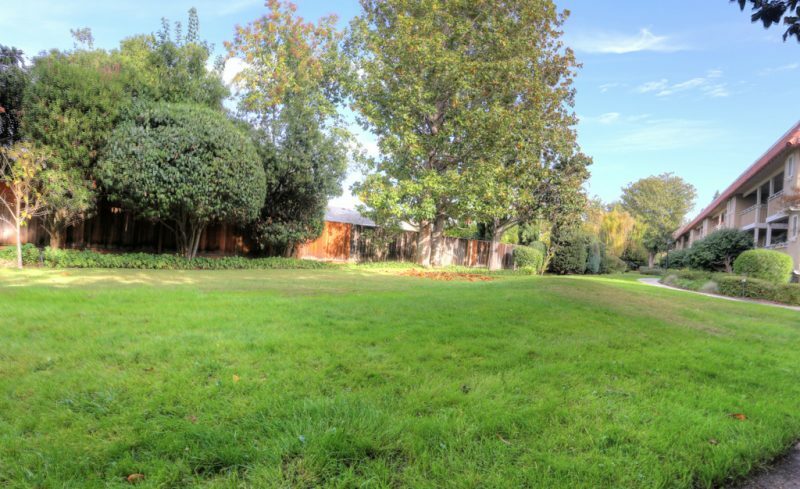 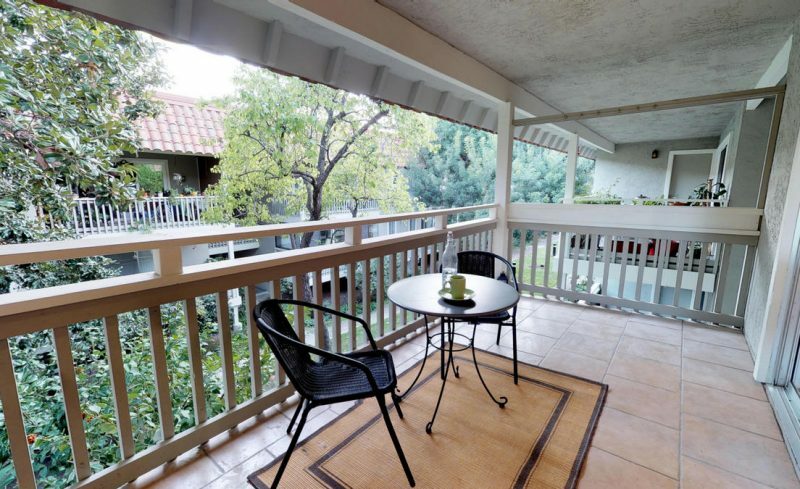 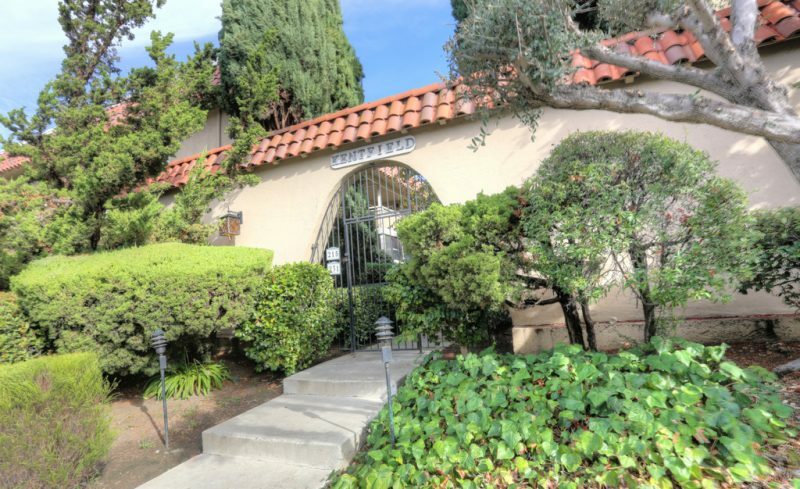 Beautifully updated top floor END UNIT in Kentfield Condominiums complex with CUPERTINO SCHOOLS. 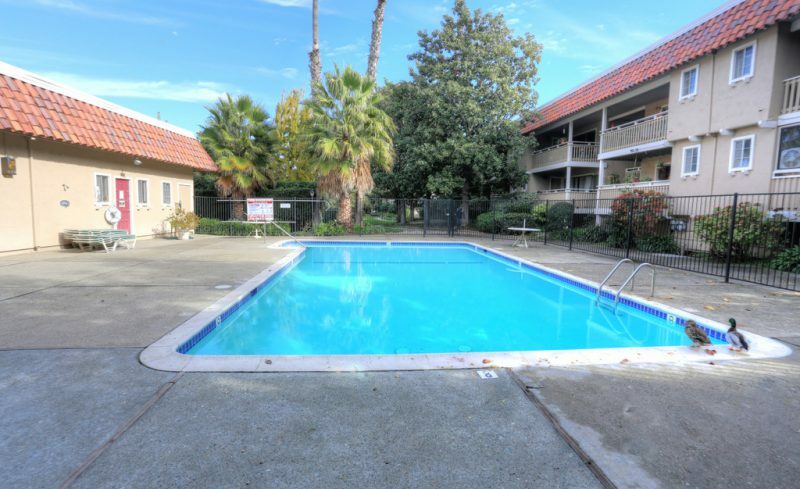 This is a bright unit with lots of sunlight. 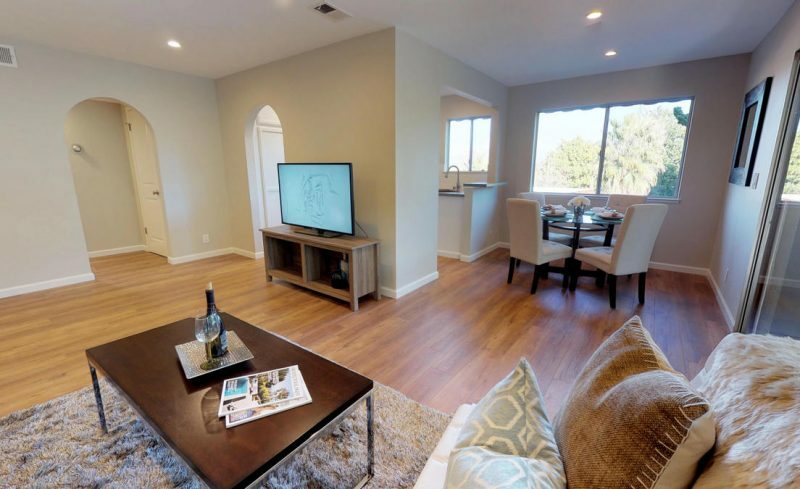 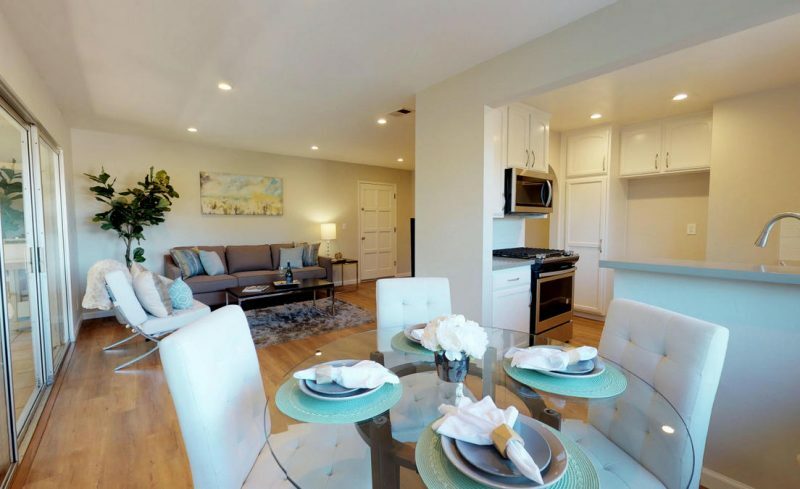 The floor plan features a spacious living room and dining area with a large sliding glass door to a spacious balcony. 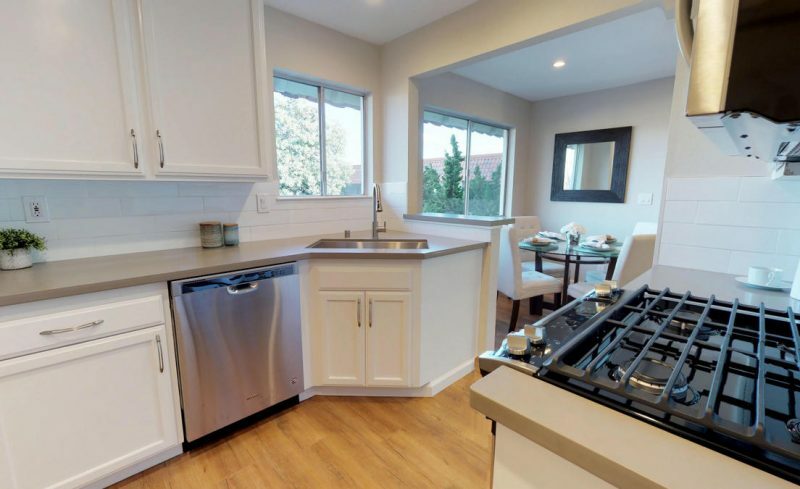 Updates include a raised panel kitchen cabinets, with quartz countertops, large under mount sink, and stainless steel appliances. 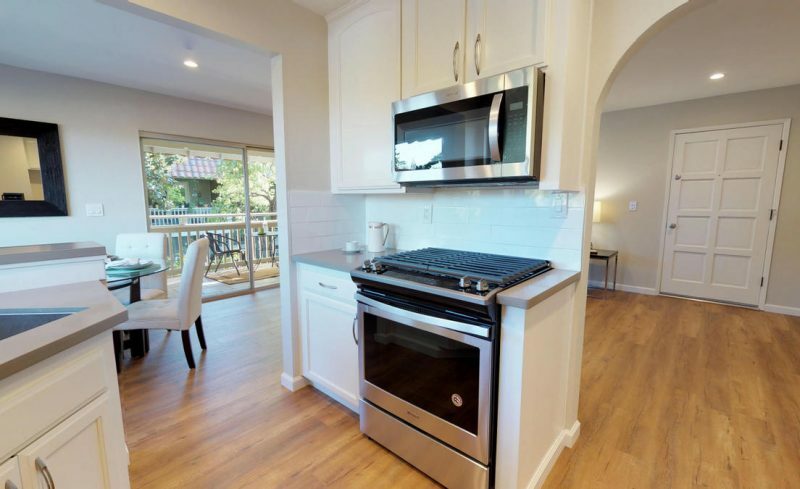 Appliances include Whirlpool dishwasher, slide in gas range, and overhead microwave hood vent. 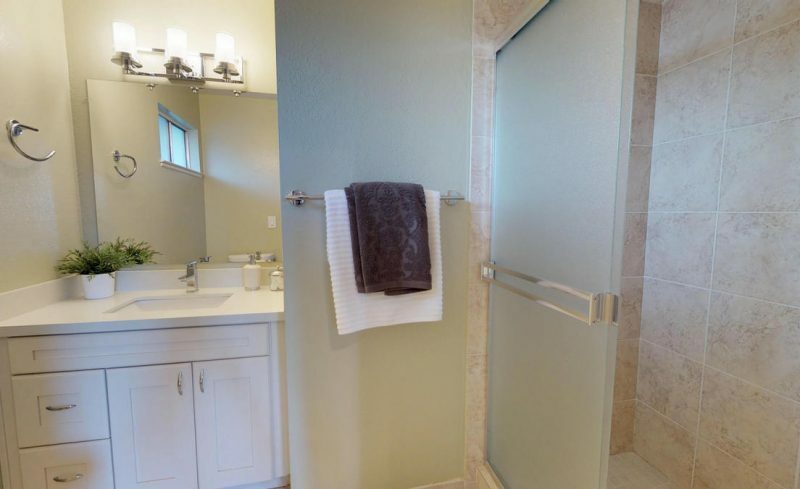 Bathrooms have been updated with new tile flooring, deep fiberglass tub within hall bath, and large shower stall in master. 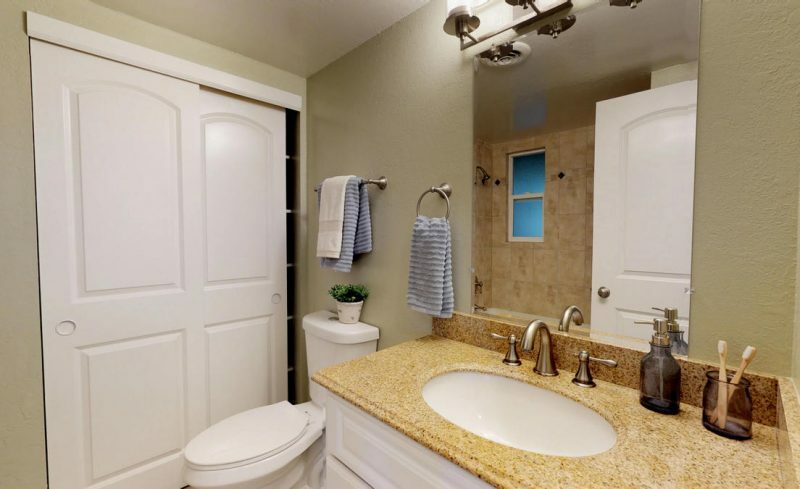 Bathrooms feature vanities with solid stone tops and newer fixtures. 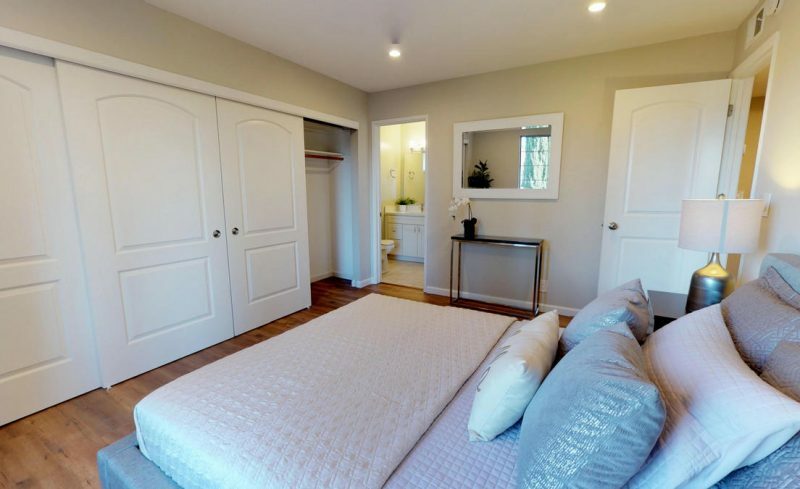 Unit boasts a utility room with washer and dryer and storage racks, along with downstairs storage closet. 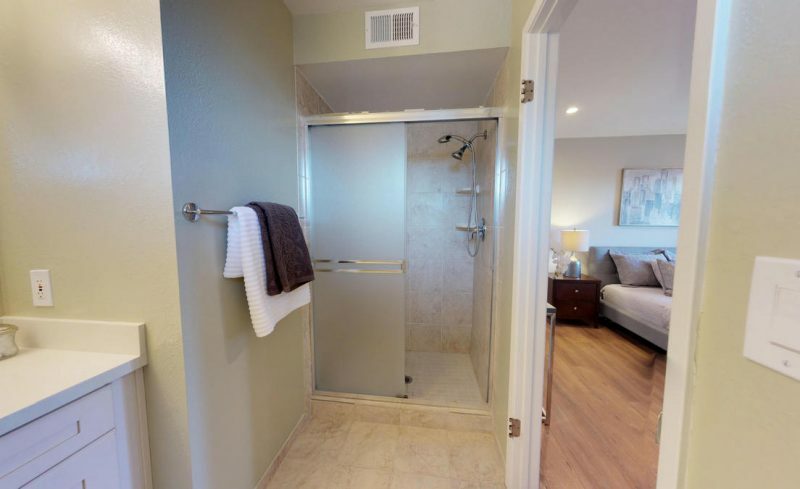 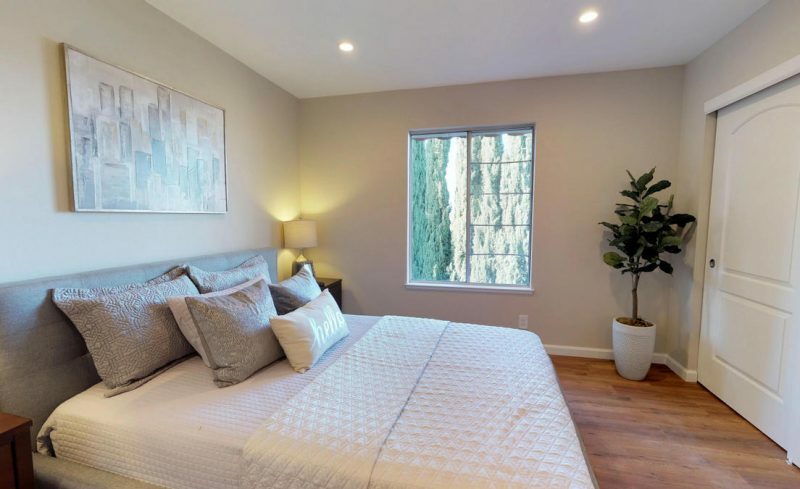 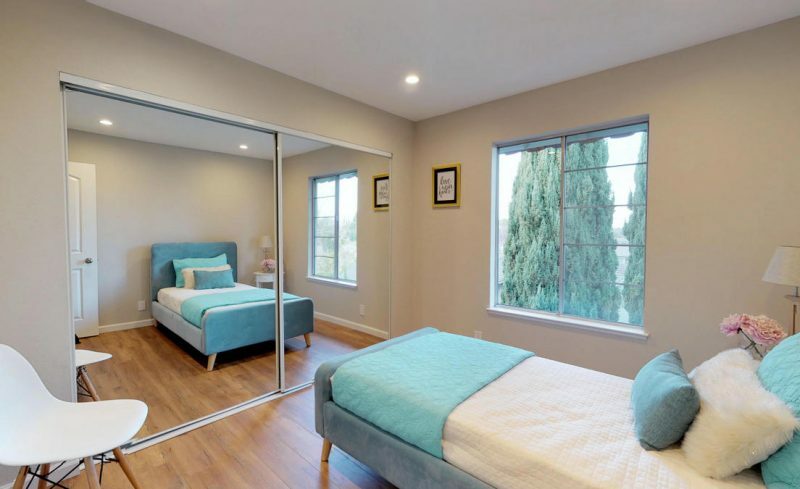 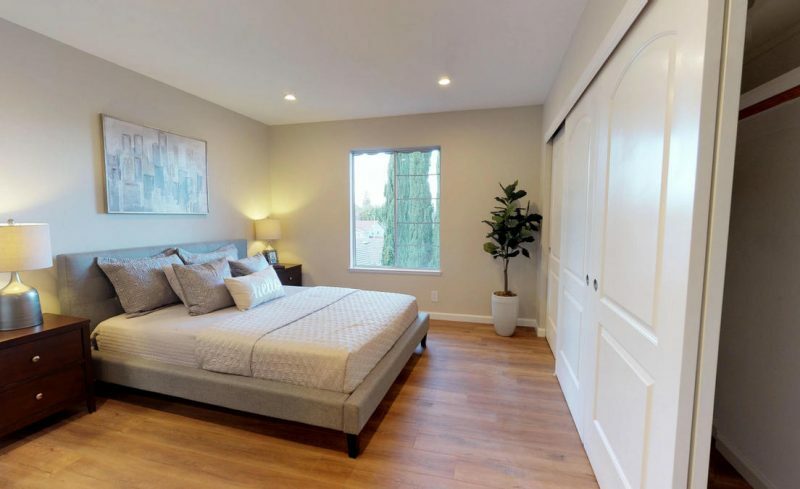 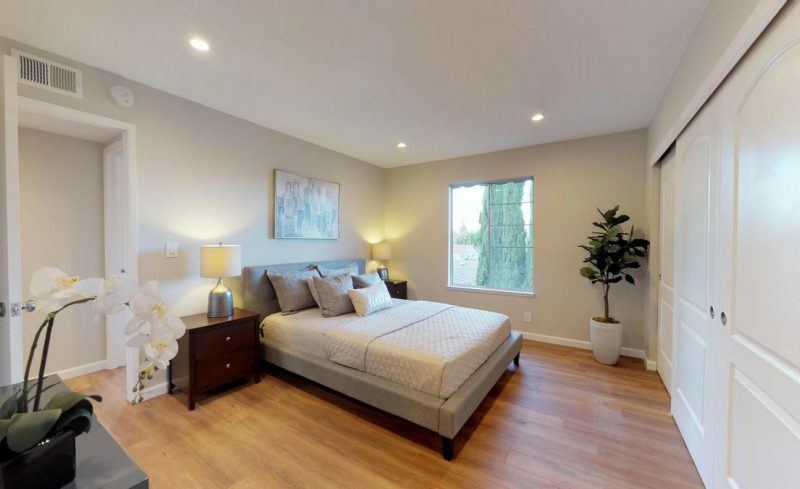 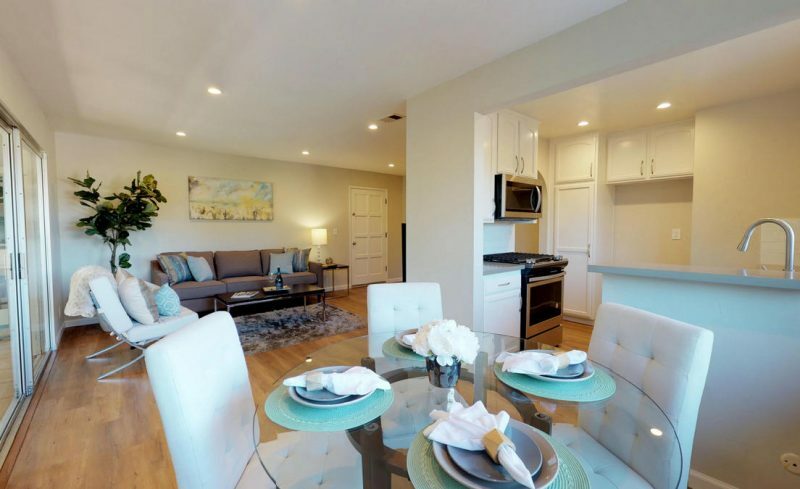 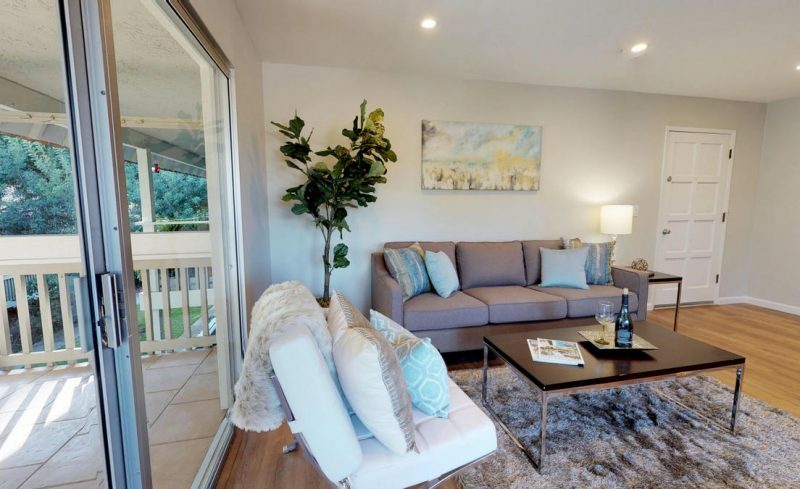 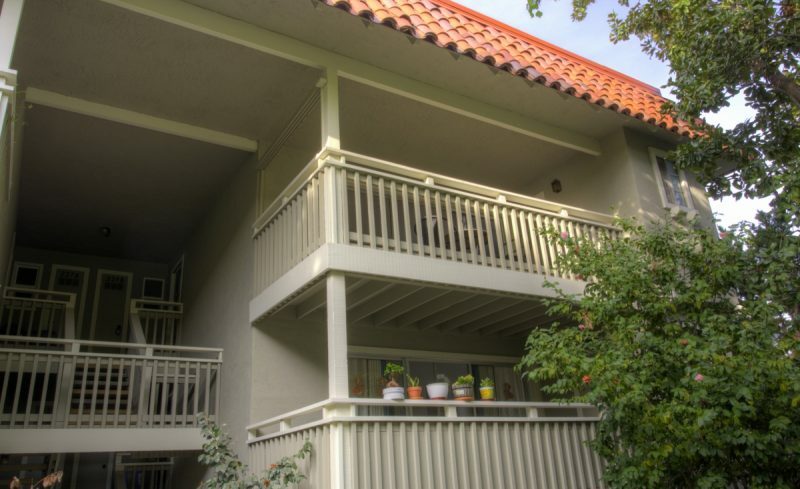 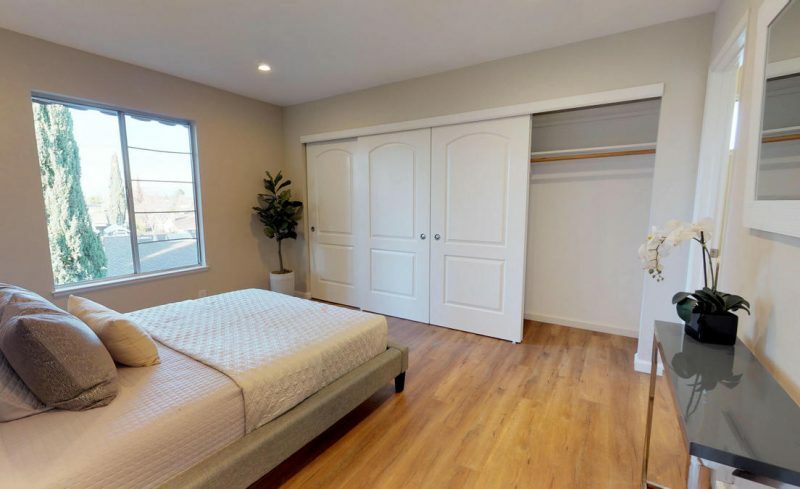 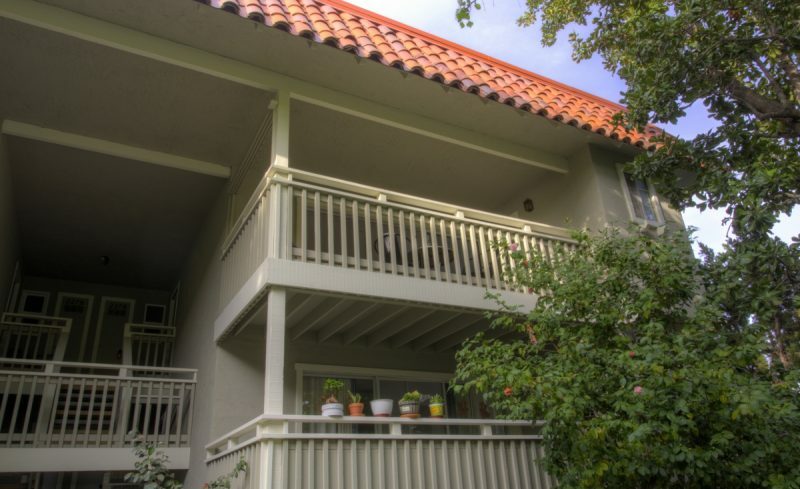 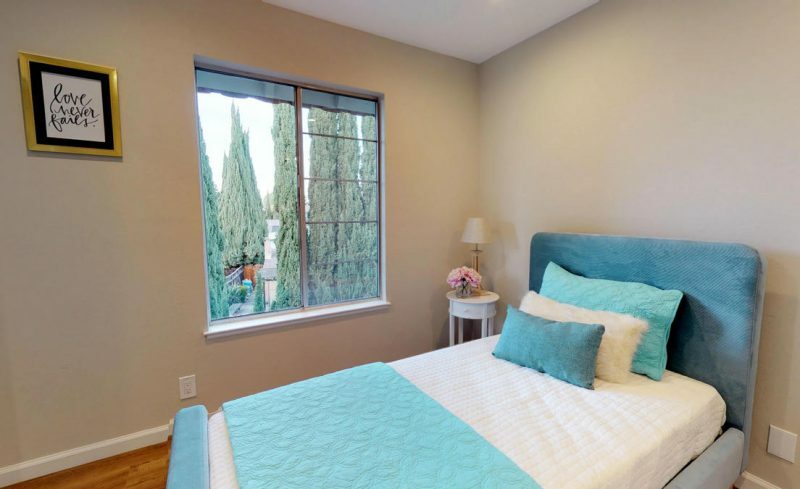 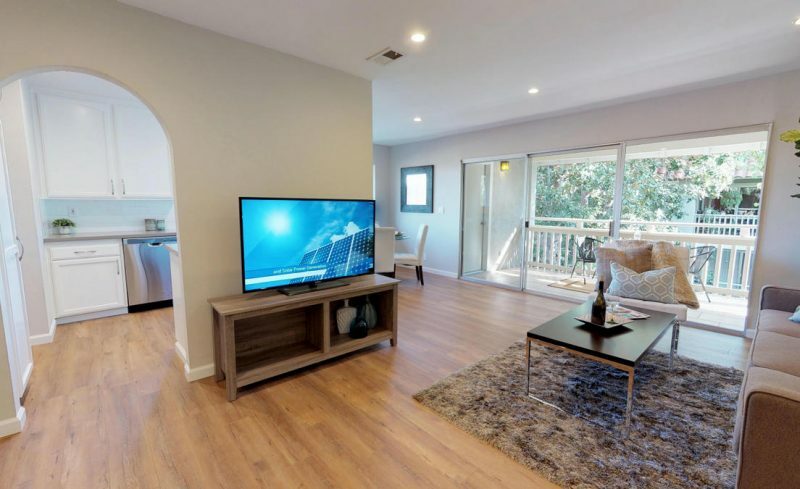 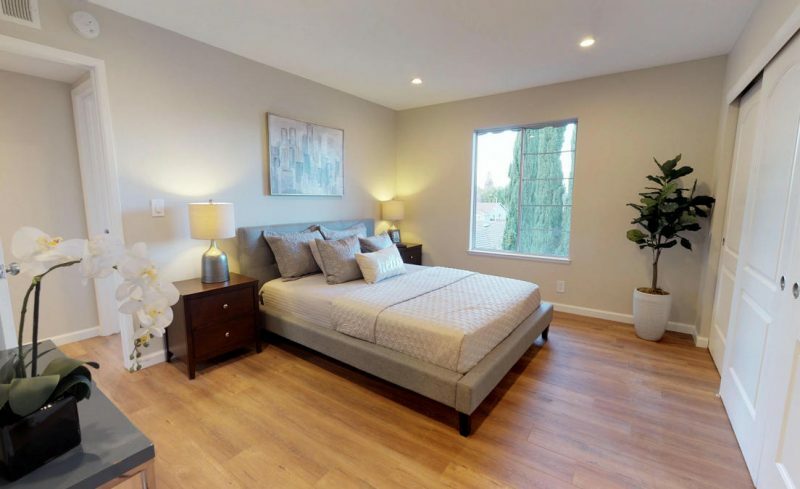 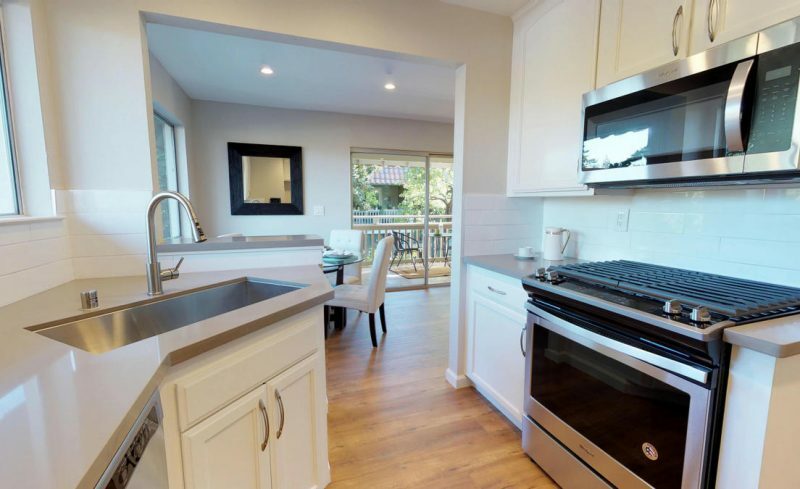 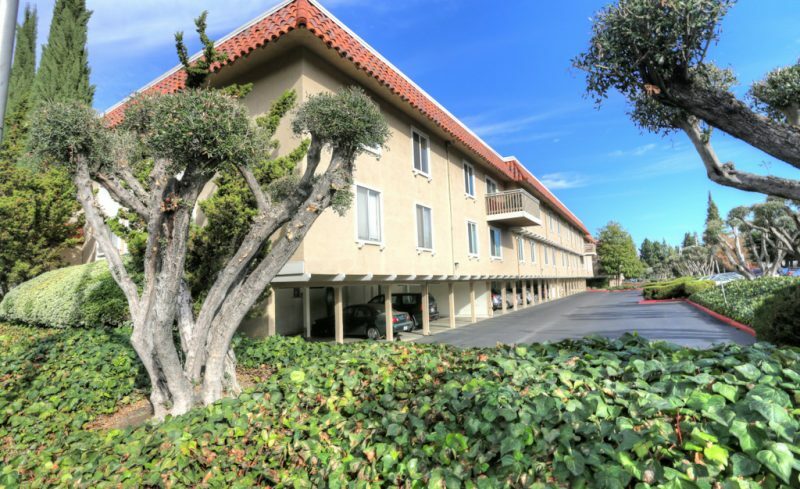 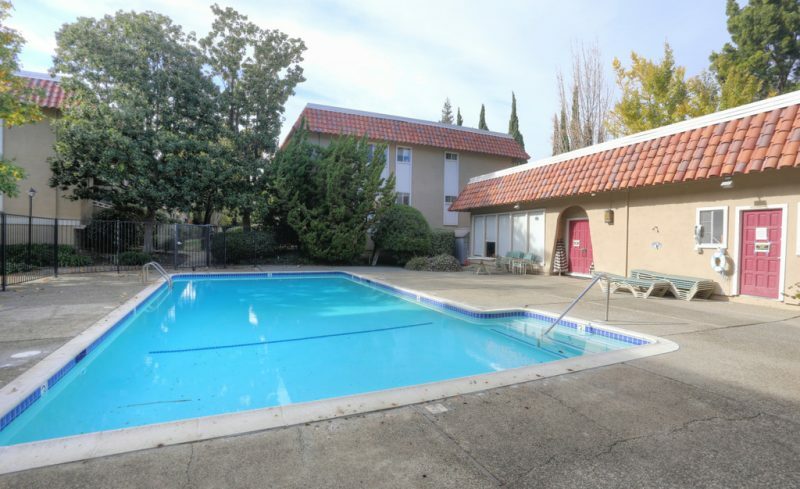 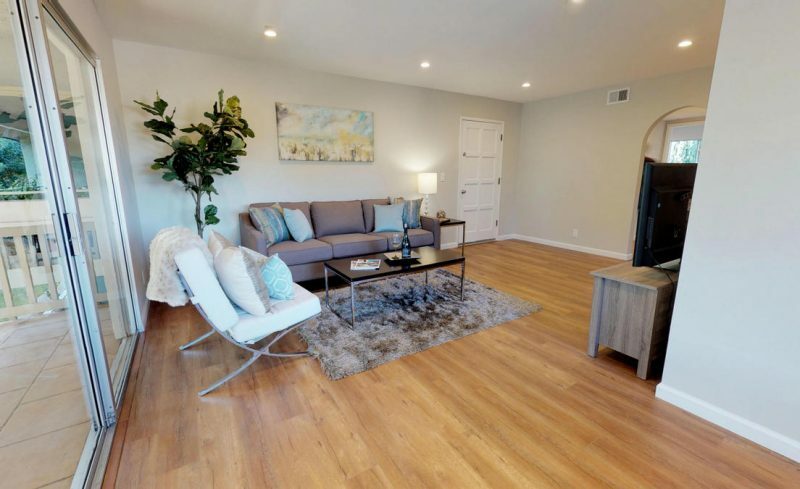 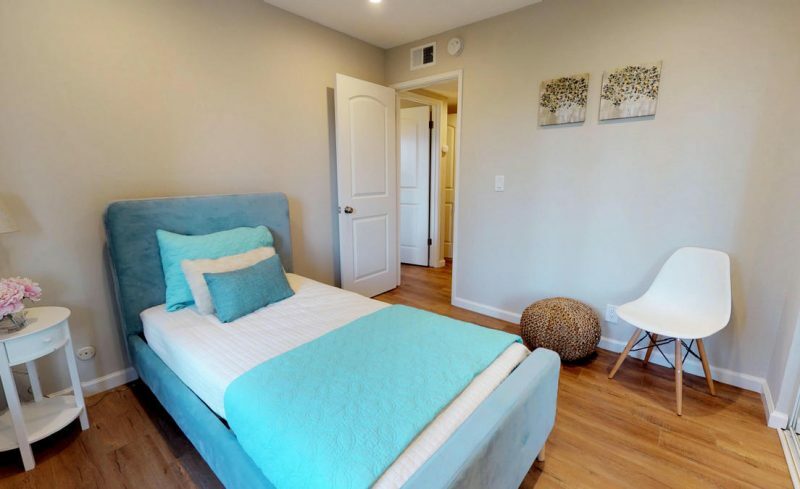 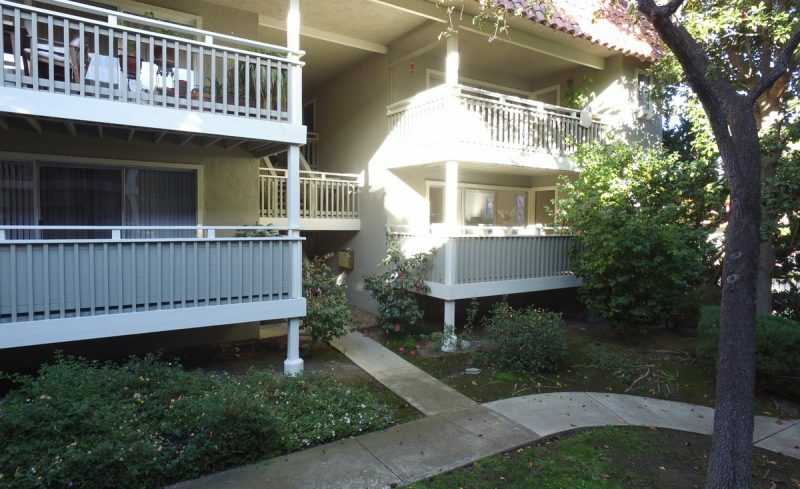 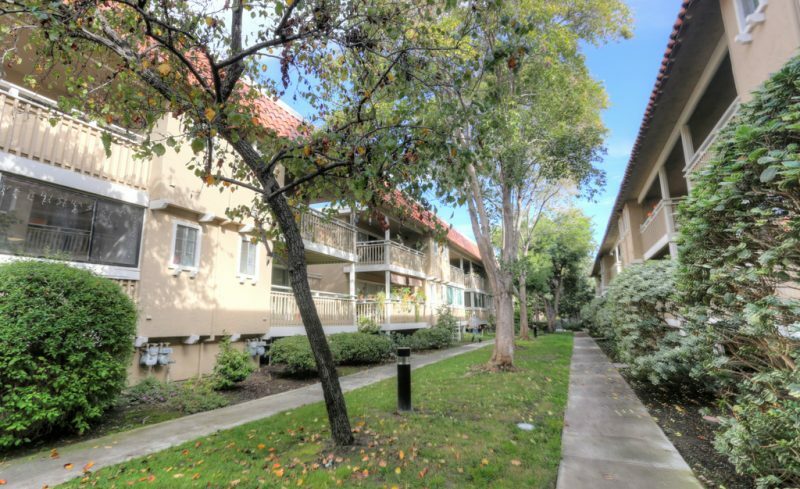 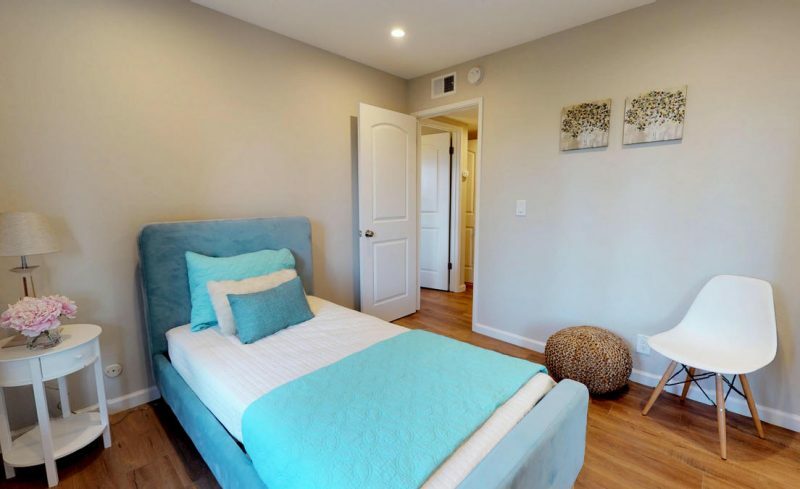 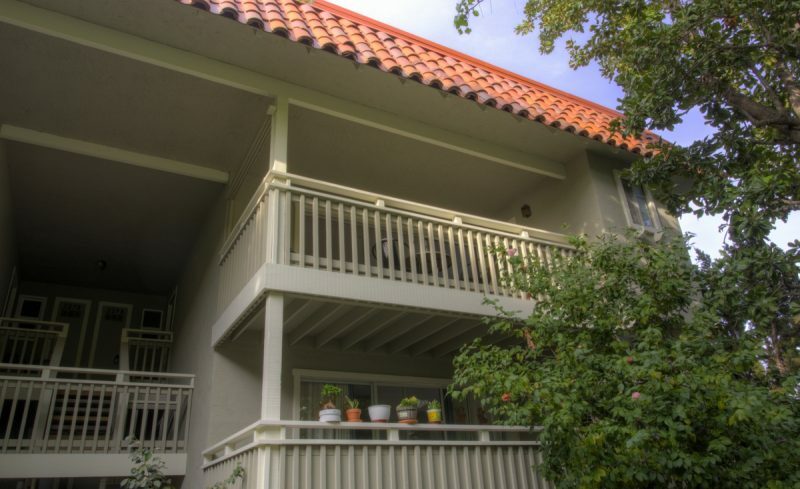 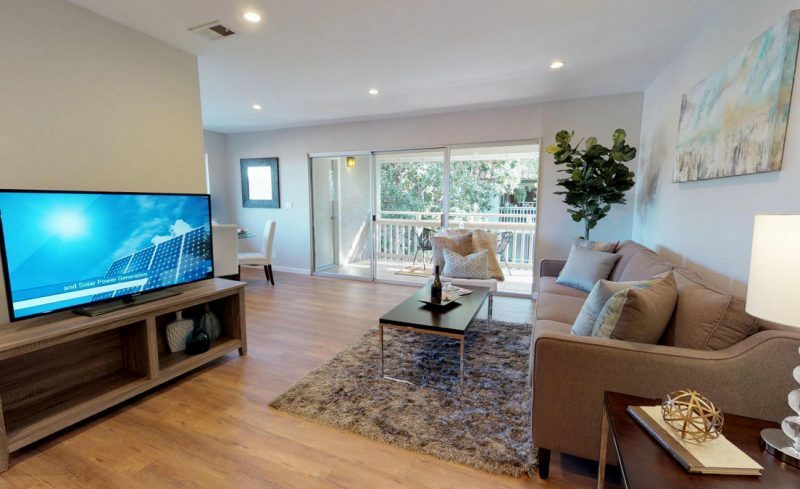 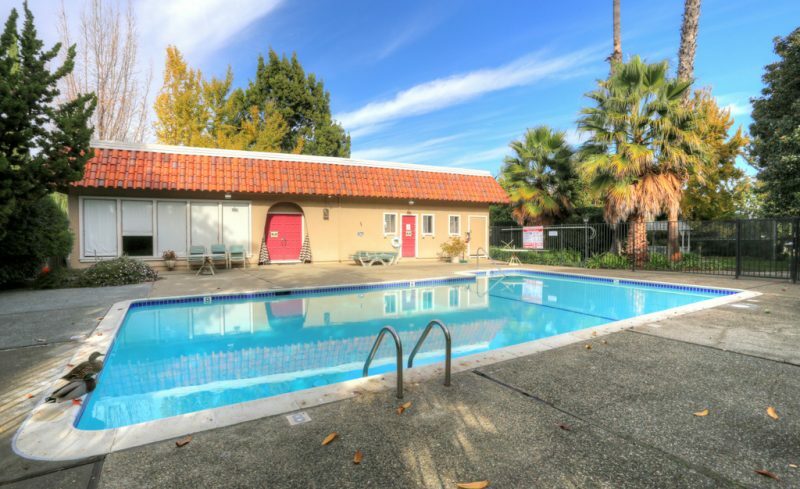 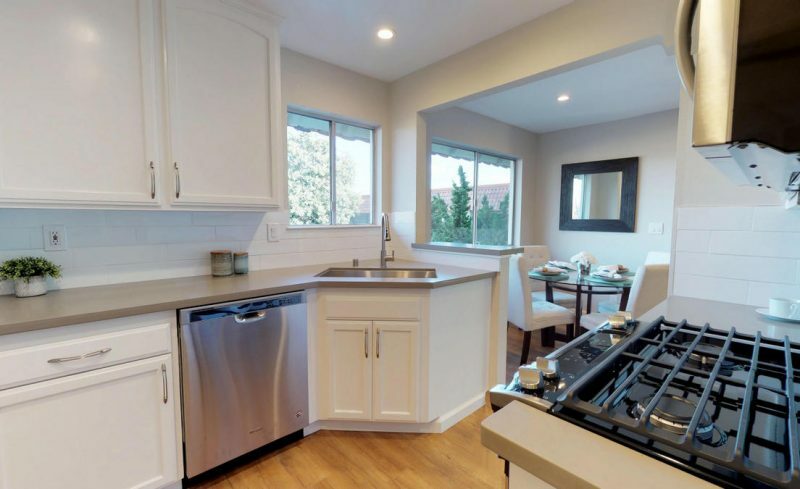 Other updated features include 12mm Laminate flooring with sound dampening felt underlayment, contemporary baseboard, raised panel doors with newer brush nickel hardware, tiled balcony.Wonderful Kenfield Condo with Cupertino Schools. 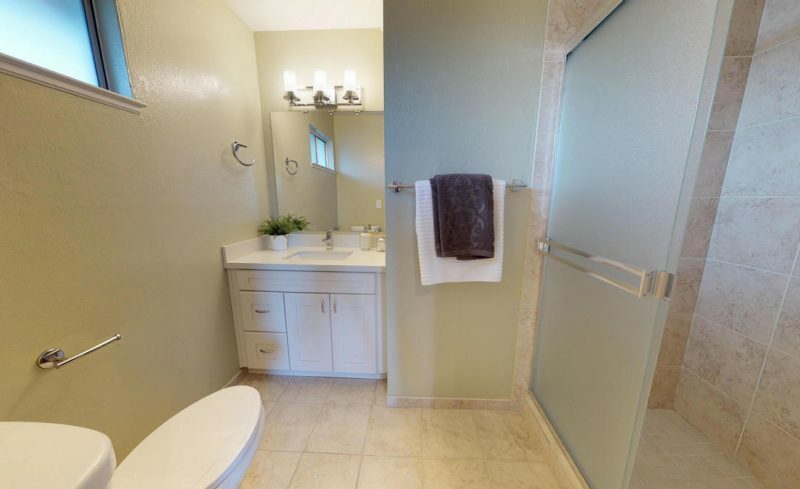 Home features 2 bedrooms 2 bath and inside laundry area.